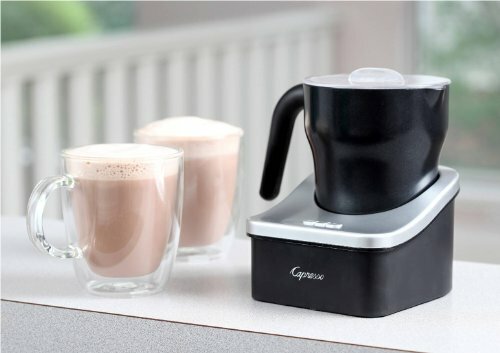 This is one excellent machine from makers Capresso that is perfect for either hot or cold frothing, and will produce perfectly steamed milk for a latte when you have the craving. This Capresso frothPRO milk frother gives you pretty professional results after just a one-touch process, and users have claimed that they have to spoon the finished product out slowly because it is so delightfully thick. The fact that the Capresso frothPRO milk frother is so easy to clean is a major bonus: this is the reason why many people switch to this type of device instead of a hand-held one in the first place. When the urge strikes you to make a delicious beverage that will no doubt hit the spot during any season, you can just froth your milk to whatever temperature you want. The “warm” temperature is ideal for drinks such as hot chocolate for kids, a snowy staple for after sledding or a pre-Christmas gathering with the extended family. The look of the Capresso frothPRO is pretty great: the silver and black are a great combination, and the item weight is right at about 3 lbs. You can obtain extra disks from the company, and the customer service is very reputable, withstanding the test of dissatisfied with the occasional defect or broken part. Where this item really differs from the Nespresso is that it has a much larger capacity for milk, and many like this one because having the separate pitcher really met their needs. 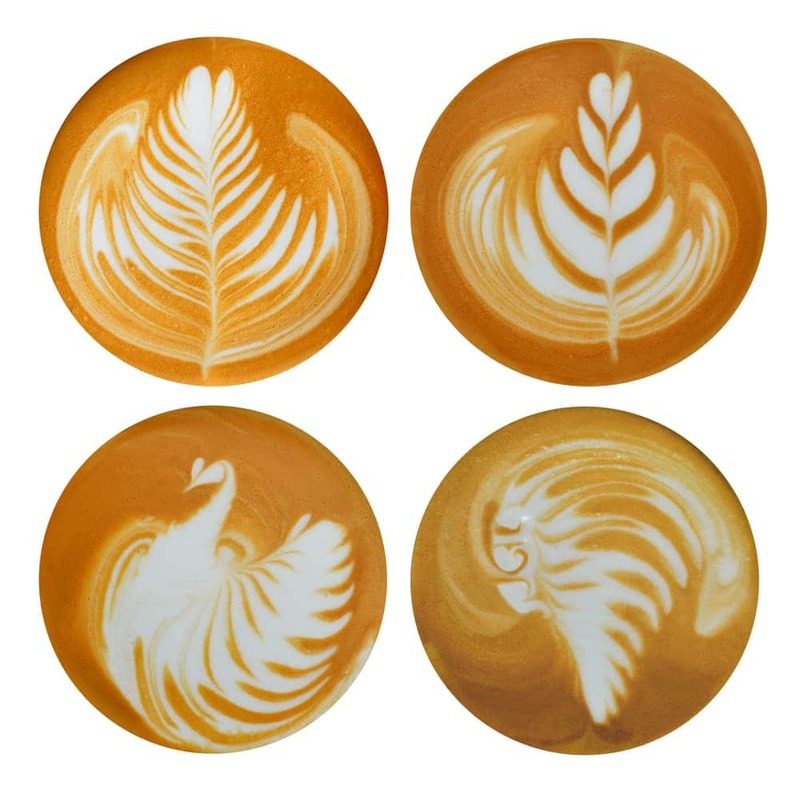 If you are an extremely talented barista that loves to make latte art, the froth you will get from this machine is certainly foamy enough when you control it right, so you can brighten someone’s day with some funky art courtesy of you. Many love this design so much that they want to take it overseas: it is 120-V-60 Htz, so you will need an-easy to find converter to do that for you. When the milk is almost to the appropriate temperature, you can add delicious things such as Mexican Chocolate or syrups for extra flavoring, and you can even put the end result over ice and add a shot of espresso. The interior of the Capresso frothPRO is made from non-stick coating, and users are happy that they feel they don’t have to pay a “king’s ransom” to a very corporate chain to have a delicious coffee drink when they are in the mood. The pivot point by where the magnetized frothing disk rides can wear with time, but this is to be expected with any device, from nearly any price range. The Capresso frothPRO is truly a machine that has made its purchasers happy and very content: those who enjoy the true upper-end of what they feel is the goods on coffee love making this a permanent addition to their kitchen. Check a guide for the best milk frothers at Nonna Box! 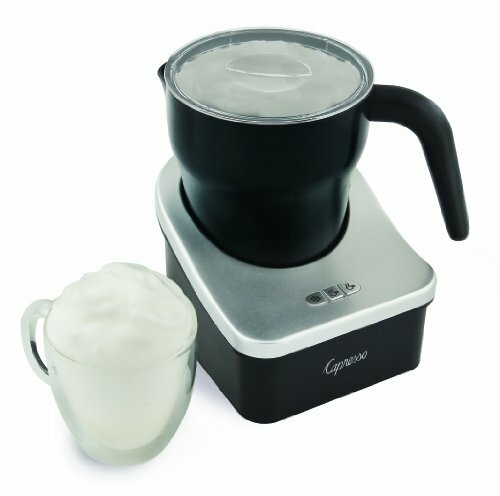 Here is another full review for the Secura Automatic Milk Frother and Warmer.